Palaeontology is the study of life a long time ago - specifically, life that existed before the current "Holocene" epoch. Perhaps most famous for the study of dinosaurs, palaeotologists study everything from the Pleistocene (which ended 11,700 years ago) to the Eoarchean era an astonishing 3.5 billion years ago. Exactly when life began on Earth is just one of the many awe-inspiring questions of the field. 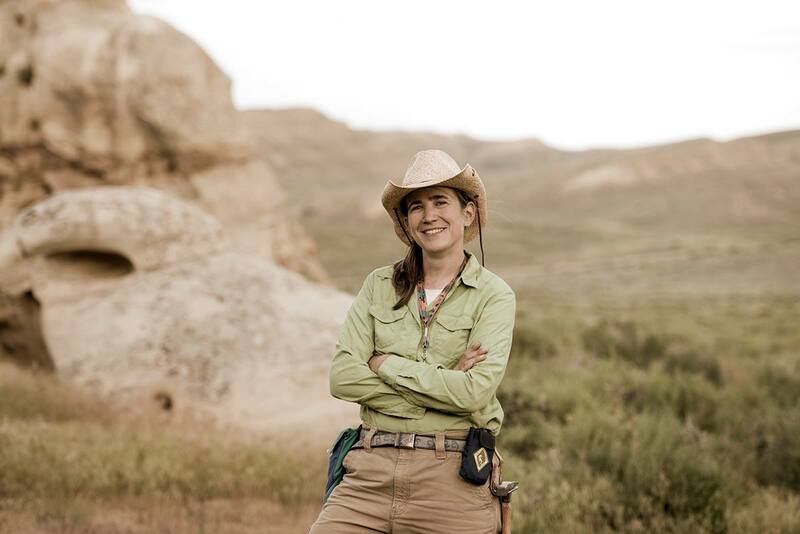 Photograph of palaeontologist Dr Ellen Currano, associate professor at the University of Wyoming. Courtesy Ted Brummond, all rights reserved. What causes animals to go extinct? And what could be the cause of the ultimate demise of humans?